Sulzer’s award was recognition of its integration of the IoT into an existing productive environment. Sulzer’s BLUE BOX IoT Advanced Analytics has won the Gold Certificate Industry 4.0 at the Swiss Digital Economy Awards in the category Highest Digital Quality. Presented by the industry association SwissICT, the Association of Swiss Internet Companies Simsa and the specialist publisher Netzmedien, the certificate honours outstanding achievements in information and communication technologies. At this year’s awards 19 finalists from industrial and commercial businesses competed for honours in four categories and each entry was scrutinised by a panel of industry experts. The judging panel said that Sulzer’s award was due to its integration of the Internet of Things (IoT) into an existing productive environment and this optimal use of IoT had convinced the jury. The Blue Box is a set of smart software services leveraging the IoT for asset optimisation and real-time predictive maintenance. 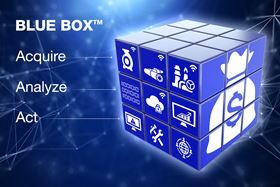 Using Sulzer’s Advanced Analytics Engine, Blue Box encompasses the capabilities of data capture, integration, visualisation and big data analytics to improve the reliability, efficiency and performance of physical assets. Blue Box also includes the concepts of condition monitoring, predictive forecasting and real-time actionable insights through remote process transparency. All data analysis components including data modelling, real-time predictive analytics and machine learning are performed in the Sulzer secure cloud platform. This cloud-based solution simplifies regulatory compliance with a minimal IT footprint and was designed to be easily scalable.